The history of terrariums can be traced all the way back to the 19th century. With ‘Terra’ being the latin word for earth and the suffix ‘arium’ referring to a place that is associated with a specific thing. Hence a terrarium is basically a miniature garden enclosed in a bottle. 1) Photosynthesis: Which occurs during the day. During this process, the plant will take in carbon dioxide and produce oxygen. 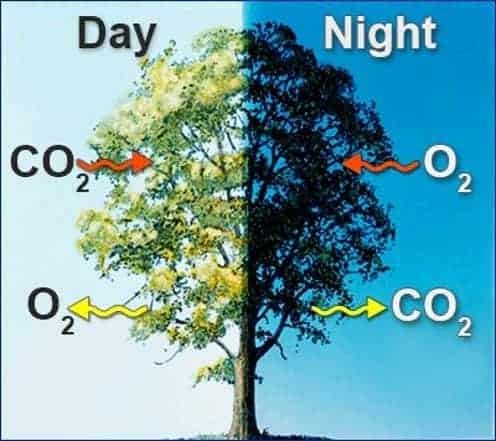 2) Respiration: Which occurs during the night. During this process, the plant produce carbon dioxide by taking in oxygen. 3) The water cycle: Water introduced into the terrarium will be recycled repeatedly. It is first absorbed by the plant and is released via its stomata (found on its leaves). Water vapor then condenses along the glass walls of the terrarium and is trickled down to be reabsorbed by the plant, hence completing the cycle. Note: Photosynthesis and respiration allows for internal gaseous exchange within the bottle. And since the water cycle is apparent within the bottle itself. This means that we need not open up the bottle for frequent airing and watering. For further details do read up on our previous article where we cover the aforementioned processes in greater detail. For closed terrariums, one need not water it very oftenly as there is a water cycle within the terrarium itself. For open terrariums, we will have to water our plants more frequently because unlike closed terrariums, there are opening/s in the bottle. Meaning it is exposed to the external environment and there is no internal water cycle – i.e. water has to be replenished. Becareful not to prune your fittonias if you are unsure of the proper steps in doing so. Fittonias if pruned wrongly do not grow back. For more pruning tips refer to our following article for tips on pruning equipment and click on this link for more pruning tips! We have covered general pruning tips in greater detail. Note: Do remember to sterilise your pruning equipment after pruning. You do not want to infect other plants with diseases and pests from your previous fittonia/plant that you have pruned. Although it is recommended to leave your decorative layer untouched, if you would like to make any changes to it, do remember the following tips. Pertaining to the design of a new decorative layer, always…. 1) Begin with the finer grains of decorative material. And slowly make your way up to larger decorative material. The reason would be that if we were to begin with the larger materials, the smaller decorative materials would seep right through the larger ingredients. 2) Remember not to overwhelm your terrarium with too much of your decorative material. This will prevent more water from seeping through to the soil layer and will result in reduced water intake. 3) Do not use overly absorbant material such as sphagnum moss as your decorative layer. This will result in reduced water intake. There are 4 main varieties of plants commonly used in terrariums. Soil moisture levels are dependent on the type of plant used. These are listed below beginning from the ones that require the least to most amount of water. Keep your terrariums away from direct sunlight and heat sources as plant varieties such as fittonias are very sensitive to direct sunlight. Heat simply dehydrates your plants. Note: Hotspots that are unbeknownst to many that you too should avoid would be, near your CPU. CPUs have ventilation areas that vent out heat from the computer. The aforementioned pointers are 5 maintenance tips for your terrarium. Follow them well and you will have a hassle-less terrarium grooming experience!